The South Korean government is seeking to take back wartime operational control of its armed forces from the United States within President Moon Jae-in’s five-year term, an opposition lawmaker said Friday. In order to complete the OPCON transfer, the Ministry of National Defense has come up with a “three-phase” road map and begun its implementation, said Rep. Kim Hack-yong of the Liberty Korea Party, citing data released by the Defense Ministry. The revelation came a day after Moon stressed the need for OPCON transfer as a strong deterrence against North Korea’s nuclear and missile threat. The president said if South Korea assumes the wartime command, it will bring “fear” to Pyongyang. “The Defense Ministry is apparently seeking to complete the transfer of wartime operational control three to four years earlier than scheduled timeline of the mid-2020s, which means they are planning to finish the job before the end of President Moon’s term,” lawmaker Kim said in a statement. In 2014, South Korea and the US agreed to postpone the wartime OPCON transfer until Seoul secures necessary operational capabilities. Although they did not fix a date, officials and experts estimated the transfer won’t happen until at least the mid-2020s. Based on the “three-phase” approach, Kim said, the military is initially seeking to secure capability to conduct wartime operations independently by the end of 2018. The process will be carried out under the current command structure where Korea-US Combined Forces Command assumes wartime OPCON. In the second phase, a new command structure – known as “Future Command” – will be applied starting from 2019, Kim added. South Korea’s four-star general assumes the role of commander, while a US general works as a deputy commander. CFC Commander Gen. Vincent Brooks reportedly requested a review of the plan. The Defense Ministry has yet to prepare a detailed plan for the final phase, but the ministry will be on its trajectory to complete the OPCON transfer before Moon finishes his five-year single-term presidency in 2022, Kim said. The OPCON transfer has been a typical liberal-conservative flashpoint, with the former insisting on “sovereign rights” in the military and the latter more concerned about the South’s defense capabilities to face military threats from North Korea. 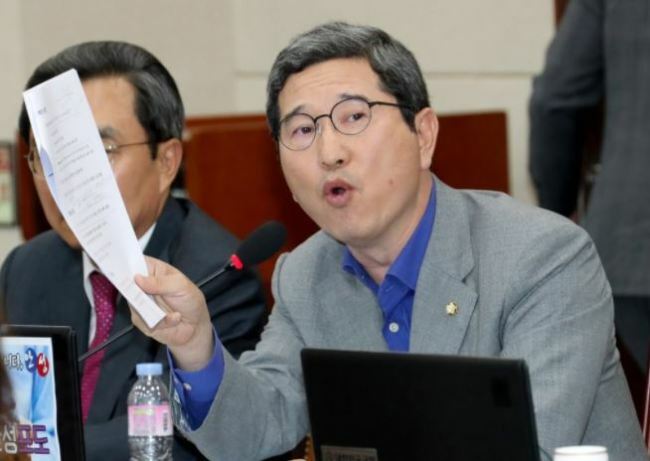 Former leader of central-left People’s Party Rep. Park Jie-won, however, said Moon’s remark about the need for OPCON transfer was “timely” and the government should come up with a plan to finance the transfer.